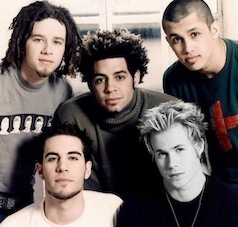 Big fan of O-Town and esp. Trevor. He is cute, fine, hot or good lookin. Love ya. Really missed the guys so much. Thanks. I’m pretty sure I saw Trevor co DJ-ing at a country club in West Palm Beach, Fl on presidents day. Am I crazy or was that him? He is a really awesome dancer. All the kids loved him. Hi Trevor, always wanted to say that in person but this will have to do 4 now. Can you believe I’m 23 and up at 3:11 a.m. posting on what I guess is a blog. Did a lot of this in my younger days, but couldn’t be sure if I actually got a response from you back. My biggest dream as a child was that you would see something I wrote to you and come in a limo to see me I know a little far fetched I’m with you on that.!!! Well just wanted to let you know that I love you guys always. And I couldn’t wait for Making The Band to come to glad one day it didn’t I was a mess. You could have warned a sister. GOSH?!! LOVE YOU LOTS TREVOR!!! !